Doha, 1 November, 2016: Under the patronage of HE Sheikh Abdullah Bin Nasser Bin Khalifa Al-Thani, Qatar Prime Minister and Interior Minister, Qatar international Boat Show 2016 (QIBS’16) today announced key organizational changes and gave insights to its programme, in anticipation of the fourth edition taking place from 7 – 10 December. Hosted at Marsa Malaz Kempinski, The Pearl, the press conference introduced Ahmed Mohammed Al-Hitmi as the new Chairman for this year’s show. Al-Hitmi is one of the founding fathers of the maritime industry in Qatar and he brings a wealth of knowledge and expertise to support the fourth edition of QIBS. Khalid Essa Al Mannai, Chairman of Al Mannai Events, the organizers of the show, introduced and passed the baton onto Al-Hitmi. With the GCC’s and Qatar’s marine market growing rapidly, Qatar International Boat Show serves as an ideal maritime networking platform and a key business driver for the sector boosting regional marine industry. Despite its small size the Qatar market has an active leisure marine sector and the current 1,200-plus marina berths in the country is being increased both by current projects under construction and others planned. This year’s QIBS’16 flagship sponsors will be Katara Hospitality, Mourjan Marinas Lusail City, Qatari Diar and Ulysse Nardin, Moto, Marsa Marine and Fraser Suites. Following on the show’s remarkable success, that has attracted more than fifty-thousand visitors from eighty-eight countries, QIBS 2016 will witness the participation of major manufacturers and exhibitors, leading international and GCC companies, currently active in boat and yacht manufacturing and marketing. This includes Gulf Craft, Seas & Deserts, Behnemar and Benetti. Specialized Qatari companies will also play a prominent part of this year’s show as QIBS’16 showcases local talent and marine expertise through market-leaders such as, Halul Boats and Balhambar. Since inception in 2013, QIBS has brought together thousands of the world’s distinguished boat and yacht manufacturers, exhibitors and specialists from the UAE, Bahrain, Canada, France, Great Britain, Germany, Italy, Monaco, Turkey, Lebanon, Switzerland, Poland, the Czech Republic and the United States of America, as well as the several other highly esteemed countries in this field. QIBS’16 looks to build on the success of last year’s event, where 15 boats were sold valued at more than QR 80 million as well as seven prospective orders valued at more than QR 65 million. 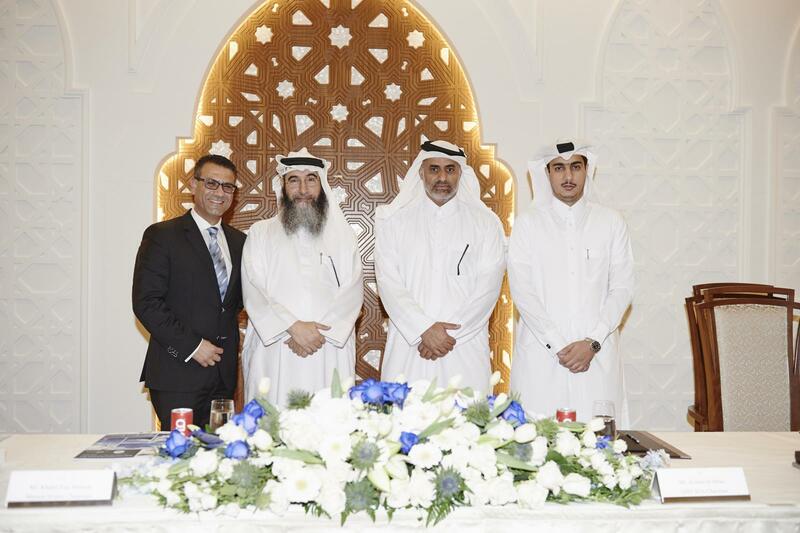 Ahmed Mohammed Al-Hitmi, the new Chairman of QIBS, offered his gratitude for their ongoing support of show from all Qatari officials led by His Highness Sheikh Tamim Bin Hamad Al-Thani, Emir of the State of Qatar, represented by HE Sheikh Sheikh Abdullah Bin Nasser Bin Khalifa Al-Thani under whose patronage QIBS is held every year. In addition, Al-Hitmi thanked the Ministry of Interior & Coast Guard Department and all participants and support organisations. QIBS Is a seasoned member of The International Federation of Boat Show Organizers (IBFSO) thereby being recognized as an international organizer among an elite family of member shows around the globe. This year’s show will host a VIP opening ceremony on Wednesday 7 December, where HE Sheikh Abdullah Bin Nasser Bin Khalifa Al-Thani, will officially open the show. QIBS’16 will then be open for boat enthusiasts and potential buyers from the GCC and further, from 2.30pm to 9.30pm Thursday to Saturday. Pre-bookings for viewing specific brands and models on display is recommended in advance, to avoid disappointment. This year the highly anticipated show will showcase exhibitors and impressive motorboats, luxury yachts and unique dhows. These will be displayed both on land and water and be complemented by exhibitor chalets, representing many of the top names in the maritime industry, both local and international, along the marina walkway. Furthermore, there will be a number of food and beverage outlets and an array of captivating side events happening on a daily basis. More information about the boats programme and participants will be announced in the coming weeks.